On our last full day in Sheffield, on Saturday, we went to the annual fair held in my mum and dads village. The Stannington Carnival has been running for as long as I can remember (and it is a while since I lived there now!) but has got much bigger over the years. 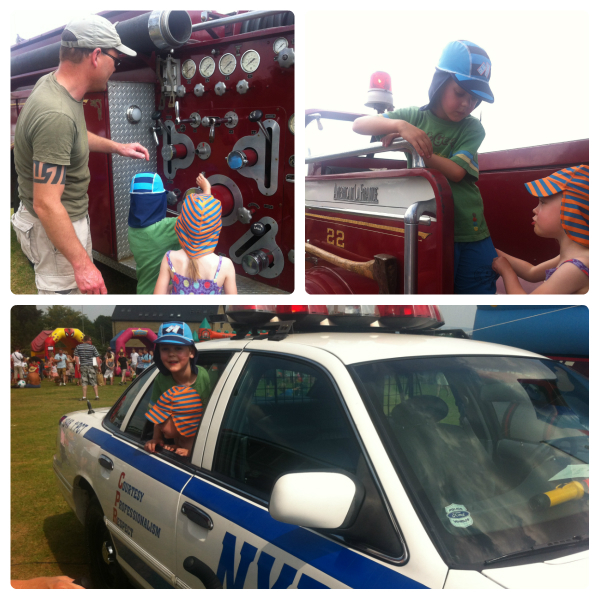 It is held in the village hall and 2 big fields full of stalls, games and rides. When we arrived we wandered round the first field and the kids spotted the “Win a prize every time” hook a duck and fishing games so they had a go on each of these and won themselves some prizes. In the second field we stopped at the Sheffield Fire and Police Museum stand and had a look round some fire engines and a police car. When we were ready to move on to something else I think Thomas got distracted with one last look at the fire engine, but he didn’t tell us. As we walked round the corner I suddenly realised he wasn’t following us and we couldn’t see him. We had a very scary few minutes searching round for him. Gordon looked round the fire engines again, I looked round the neighbouring stalls but for a few minutes we had no idea where he was. Luckily the volunteers who run the fair are wonderful and had seen him and spoken to him, and we spotted him as he was being taken to the Lost Children tent. I’m not sure who was more scared, me and Gordon or Thomas. It was a horrible few minutes, but at least that was all it was and we found him quickly! Once we were all back together we stopped and got everyone a drink while we recovered! 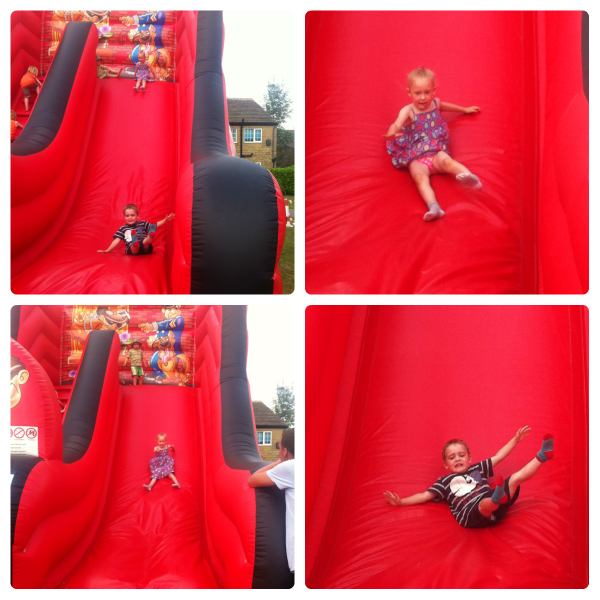 Jasmine then spotted a large bouncy castle slide and her and Ben asked to go on. Thomas thought he might have a go as well so I paid for all three, but he changed his mind so Jasmine and Ben got a couple of extra go’s each! Despite the look of terror on Ben’s face on the photographs they both loved it! 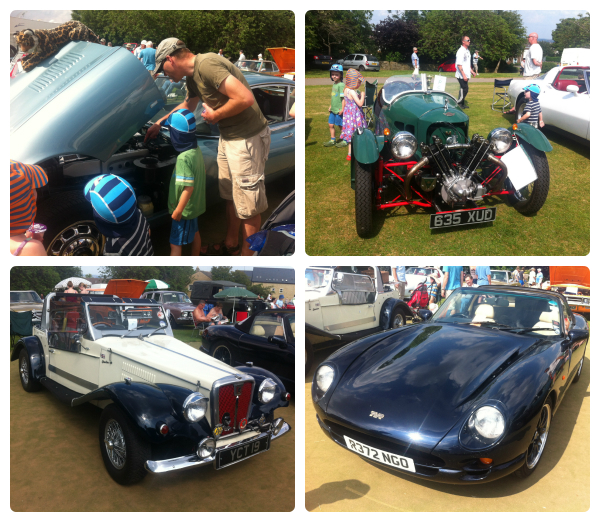 After several turns on the slide we walked over to the classic cars and had a quick look around them before going to get an ice cream for everyone. Next to the ice cream van, the Punch and Judy show was about to start so we stayed to watch that for a bit. Just before it started there were some circus type toys for the kids to play with and Thomas and Jasmine both had a go on some bucket stilts. They were pretty good on them! 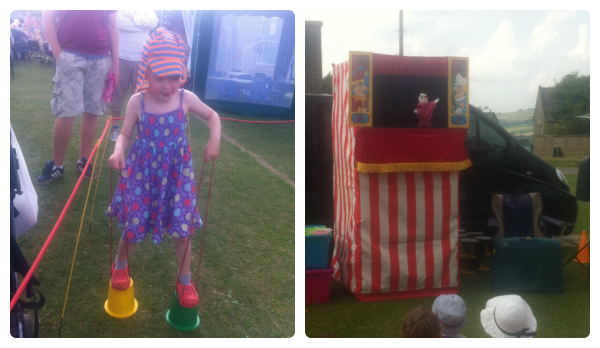 It was boiling hot on Saturday and after about 20 minutes of the Punch and Judy show we were just too hot so decided to walk back and do one last “prize every time” game before going back to my mum’s house loaded with plastic toy prizes! It is clearly carnival time. Lovely to see we are not the only ones keeping the village traditions alive. My heart was in my mouth for your lost minutes, I can’t pretend this hasn’t happened to me a few times over the years, thankfully a happy ending too! Thank you for linking up to Country Kids. Glad you had a good day. I can only imagine those few minutes of fear! Seems you all recovered well and enjoyed the rest of your time. Sounds like you had a great day, apart from the scare! I sympathise and know exactly how that feels as once lost sight of my 4 year old in town for a few minutes a few years ago – a few minutes seems like a few days!